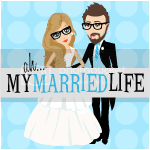 The Infertility Overachievers: We Have Renters So We're Going To VEGAS! We Have Renters So We're Going To VEGAS! I am so excited right now, allow me to give you a little background in to why. When we found out about our upcoming move, we quickly made the decision to rent our house out instead of trying to sell it. Mike and I bought this house just before the market collapsed in 2007. We got a great deal on it, or so we thought at the time. If we bought this house now, we could probably get it for about ten thousand less than what we paid with an interest rate of about 2% lower as well. With all of that said, I will get to why I am so excited. We found renters! Last night we got the word from one of the couples that we showed the house to on Saturday, that they definitely want the house. We did a credit check and called references, and everything came back great. They are going to be signing the lease and paying the deposit in the next few days to make it official. The new renters will be moving in on June 7th, and we don't close on our new house until July 1. So in the mean time, we won't have a housing cost. You may be wondering what we are planning to do with that month of mortgage free living. Putting money away for the new house? Building our savings account a little more? Padding our budget for the next few months? NOPE!!! We are going to Vegas! Mike has some leave before he has to report to his new job, so we are planning a little impromptu trip to Sin City. I have never been, so I am ecstatic. We are dropping London off with the Grandparents and heading to Vegas for 5 days. The plan right now (although nothing has been booked) is to stay at the Luxor for 4 nights. Any suggestions of things that I MUST DO while I am there? Shows to see or Restaurant recommendations? I am planning to do alot of gambling and see two shows, at least one being Cirque Du Soleil. The rest of the time will be spent just shopping and wandering around. Who knows this could just be our last trip before go back through infertility treatments, pregnancy, and having baby. **Fingers Crossed** We better enjoy it while we can. That is a huge relief! How exciting about the vegas trip! We want a new house so bad and are thinking of putting our current house up for rent. I think we will really look into it further next spring/summer. This is awesome news. Congrats. Congrats on finding renters! Have fun in Vegas! What great news! I'm sure you'll have a fabulous time in Vegas! Congrats! That's great about the house! Sin City is amazing! I've been every year for the last 4 years. KA is a really great cirque show. Also, the American Restaurant inside NyNY is great. One thing that's also fun to do is see the lions over at the MGM. I Quit You Infertility (at least for tonight)! This post is brought to you by the letter "A"
What's for Dinner Contest WINNER!!! 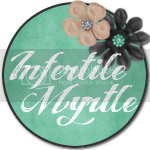 The End of National Infertility Awareness Week.